In a bid to kick-start India’s economy, Prime Minister Narendra Modi’s government has outlined ambitious plans to build 83,677 km (51,994 miles) of roads across the country over the next five years. 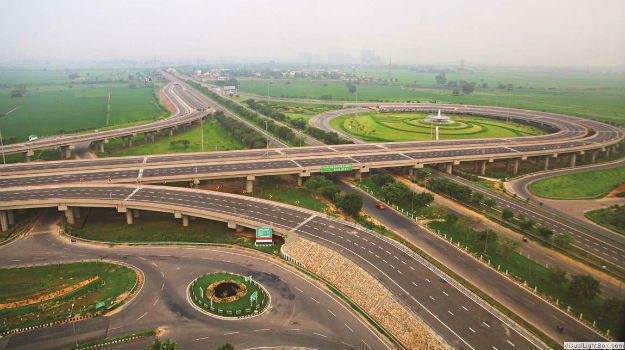 In total, USD108 bn will be allocated to the development of Indian road infrastructure. The plan includes the Bharatmala Pariyojana, which involves the construction of an extensive highway network of 34,800 km (21,623 miles) connecting western and eastern India. The state-run National Highways Authority of India (NHAI) and the Ministry of Road Transport and Highways will also be responsible for the development of 48,877 km (30,370 miles) of road projects. After two years of buoyant growth, the Indian economy was pegged back after Modi’s government decided to demonetise two of the country’s high-value currency notes in November 2016 and introduced a new tax regime in July this year. The government is hoping to use public sector spending to turn around the economy. At present, private investment and consumption have shrunk while industrial production has remained low. The majority of the road construction projects will be executed on an engineering, procurement and construction (EPC) basis. CapProCon reported last week that the FOWIND Consortium has issued a new report studying the potential for India’s offshore wind industry. The DNV GL-led study, ‘Grid Integration Study for Offshore Wind Farm Development in Gujarat and Tamil Nadu’ is the first step in providing a path for developing a sustainable and commercially viable offshore wind industry in India. The GWEC says that India has the world’s fourth largest onshore wind market with a total installed capacity of over 32.6 GW. However, India does have an acute need for large-scale, clean energy generation to fuel its rapidly growing economy. Offshore wind power could play a very important role here due to the large wind resources available near centres of high-energy demand. Globally, offshore wind power is becoming increasingly cost-effective with installations close to 14.5 GW at the end of 2016.